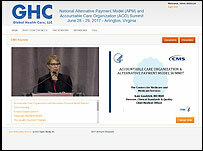 NEXT FOR NEXT GEN ACOS? Executive Director, CareMount ACO LLC, Senior Director of Development, CareMount Medical PC, Former Executive Director of Market Operations, Universal American Corp.
XV: What’s Next for Next Gen ACOs? ABQAURP: Approved for up to 15.0 ABQAURP credits. Physicians: Approval for 15.00 AMA PRA Category 1 Credits™. The ACO Summit is now offering a limited number of partial and full Tuition Scholarships to qualifying representatives of local, state and federal government, consumer advocate organizations, safety net providers, academics, students and health services research organizations.